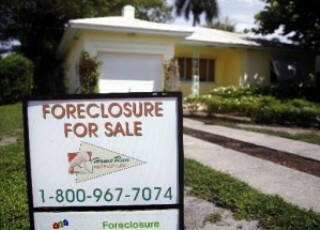 Lenders filed to foreclose on 1,502 Palm Beach County homeowners in March, a 65 percent increase from the same time last year and up 25 percent from February. The surge in new filings was called "dramatic" by Palm Beach County Clerk and Comptroller Sharon Bock, who released the numbers Friday. But it was a bump that analysts predicted would follow the $25 billion settlement between lenders and the nation's attorneys general. A federal judge signed off on the settlement Wednesday. The deal, which landed Florida about $8.4 billion in mortgage relief, requires lenders to increase loan modification programs and write down borrower loan amounts. It also provides standards for servicing loans and processing foreclosures. "This settlement and other critical actions taken by the (Obama) administration are significant steps toward rebuilding our housing market and making an America built to last," said US Housing and Urban Development Secretary Shaun Donovan in a statement Friday. Also on Friday, former North Carolina banking commissioner Joseph Smith officially opened the Office of Mortgage Settlement Oversight, which will monitor bank compliance with the agreement. An estimated 2 million homeowners nationwide are expected to benefit from the settlement, which is described in detail at www.nationalmortgagesettlement.com. Of more immediate concern to Bock is a $30 million statewide budget cut to Florida's clerks of courts. Coupled with an increase in foreclosure filings, she fears it will slow down an already overwhelmed system. Palm Beach County's clerk's office will to lose $2.5 million from its budget. "This is one of the most dramatic month-to-month increases we've seen in more than a year," Bock said about March's filings. "And the timing for an increase couldn't be worse, since Florida’s clerks will see their budgets cut on July 1." 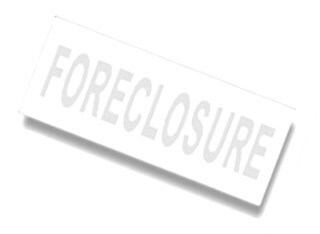 South Florida foreclosure defense attorney Peter Ticktin said Palm Beach County's filings are also on the rise as banks continue to recover from the robo-signing scandal of 2010 with revamped paperwork and successful file transfers from the former Law Offices of David J. Stern. Stern's firm closed in March 2011 leaving as many as 100,000 cases in limbo statewide. Ticktin predicts foreclosure filings this year may double what they were in 2011. In Palm Beach County, that would mean 24,300 added cases. "I don't think we'll see filings go much higher than that simply because of differences where the servicers have to verify complaints and the fact that judges are not tolerating firms who think they can act in a way that harms the courts," Ticktin said. The number of canceled foreclosure auctions was down in March with just 367 cancellations out of 1,347 advertised sales. That's a 27 percent cancellation rate compared to February's 32 percent.